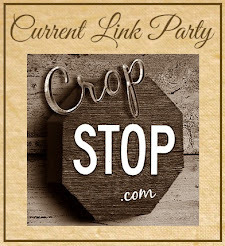 There's still one week left to enter your creativity in our CURRENT LINK PARTY. Stop by and showoff your work for a chance to win in the random monthly draw. Beautiful, Esther! The black really makes the gilding flakes pop! Wow that is gorgeous, I love the techniques you used here, great colors in the gilding flakes, and love the look of the embossing on the flower!